Generally speaking, people tend to spend more when they use credit cards instead of cash. It can be easy to get in over your head with debt, and before you know it, filing for bankruptcy might seem like the only option. Studies show that about 800,000 people file for bankruptcy each year, and in 2017, it was calculated that Americans were responsible for almost $1 trillion in credit card debt. Before you swipe your new credit card for the first time, it’s important to know the do’s and dont’s of using credit cards wisely. Sam Henry is here to help. This tool from Nerd Wallet can be useful for those struggling to find the perfect credit card. There are many different types of credit cards out there, so make sure you do research before swiping yours for the first time. 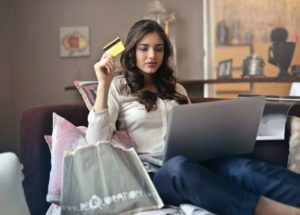 One of the best ways to build good credit is paying your credit card bills on time, but it’s easy to get behind if you are spending too much. Set up auto-pay, and always pay off as much of your debt as possible at the end of every month. Reading through your credit card statement each month will help identify errors, potential identity theft, and give you an exact amount of money you spent on that card for the month. In addition, you’ll spot any duplicate charges or subscriptions you may have forgotten to cancel. Sam Henry Law deals with numerous debt related issues. If you are in credit card debt, seeking a bankruptcy, or have credit card lenders calling you requesting payment, call Sam Henry today to schedule a free initial consultation.